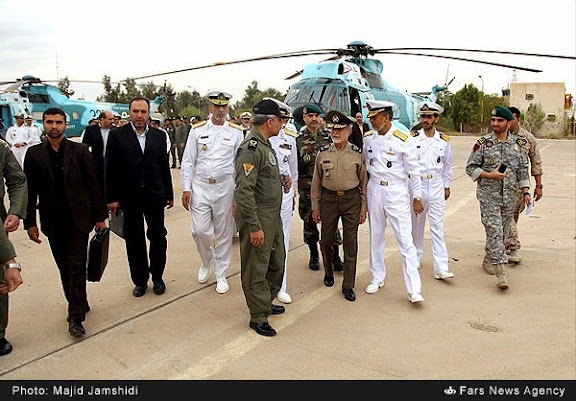 Iran’s Army on Monday unveiled a new hovercraft and a series of helicopters that are used for naval operations. Iranian Army Commander Major General Ataollah Salehi unveiled the new products in the country’s southern port city of Bandar Abbas. The equipment included the SRN6 hovercraft, an AB212 anti-surface helicopter, two SH3D anti-submarine helicopters, and a fixed-wing F-27 plane for patrol and reconnaissance. An RH minesweeping naval helicopter was also put on display during the top officer’s visit to the port. Speaking on the sidelines of a ceremony to unveil the products, Navy Commander Rear Admiral Habibollah Sayyari said the two anti-submarine helicopters have been overhauled by the local experts and have been also equipped with torpedo-launcher systems. 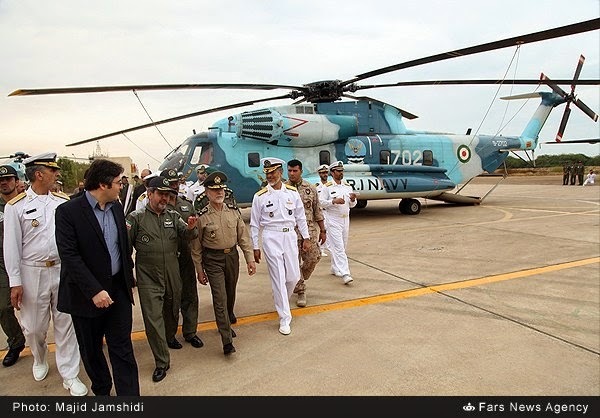 The AB212 anti-surface helicopter has been also armed with air-to-surface missiles, added Sayyari. x2 IRIN-A Agusta SH-3D Sea King (AS-61) ASW/SAR/utility helicopters for ASW Squadron at Bandar Abbas/Havadarya (OIKP). x1 IRIN-A Agusta AB-212ASW helicopter for Helicopter Transport & SAR Squadron at Bandar Abbas/Havadarya (OIKP). x1 IRIN-A Fokker F-27 Troopship for Transport & Navy Patrol Squadron at Bandar Abbas/Havadarya (OIKP). 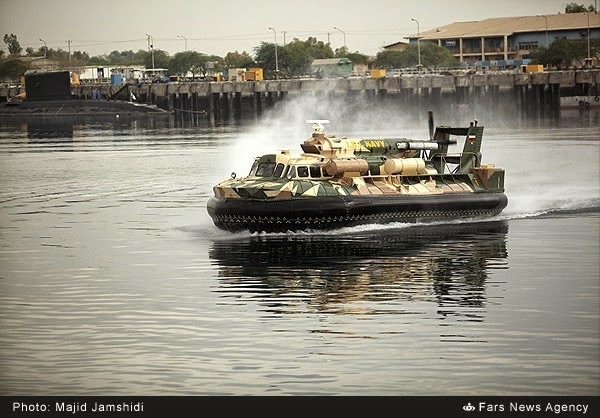 x1 IRIN Saunders-Roe SR.N6 Winchester class hovercraft for IRIN 1st Naval Region base at Bandar Abbas. Photo of claimed refurbished IRIN SR.N6 hovercraft, appearing similar in markings to SRNX "Tondar" hovercraft unveiled 28NOV12. IRIN-A Sikorsky RH-53D (S-65C-4) Sea Stallion, serial 6-2702 (cn 65-413) of Helicopter Transport & SAR Squadron at Bandar Abbas/Havadarya (OIKP).